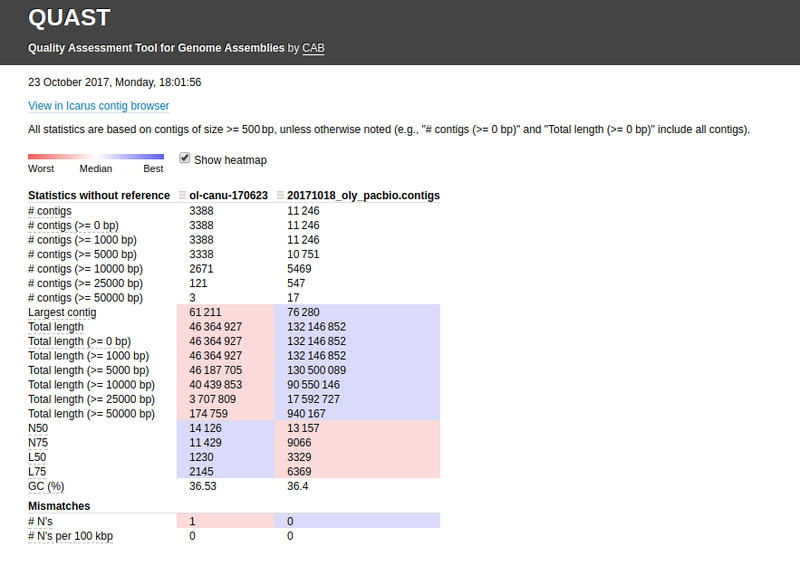 I recently finished an assembly of our Olympia oyster PacBio data using Canu and thought it would be interesting to compare to Sean’s Canu assembly. Granted, this isn’t a totally true comparison because I think Sean’s assembly is further “polished” using Pilon or something like that, but the Quast analysis is so quick (like < 60 seconds), that it can’t hurt. See the Jupyter Notebook below for the full deets on running Quast.